Ideal for social media fans – the Alcatel A5 LED is the world’s first interactive LED-covered smartphone. 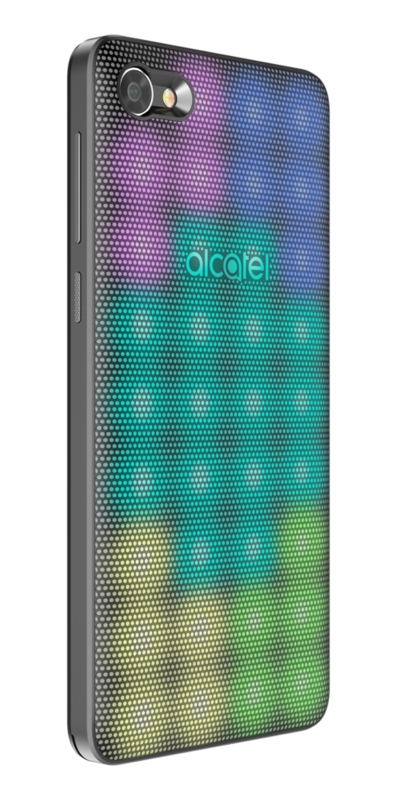 The LED cover of the Alcatel A5 LED is customisable, meaning you can create and design your own LED light show patterns, selecting different colours for different apps and contacts. The new and improved Color Catcher 2.0 allows you to absorb up to 5 colours from any image or object and use them as a theme that will even flash on the rear cover. You can select different light shows for incoming calls, messages, alarms, and social media alerts. 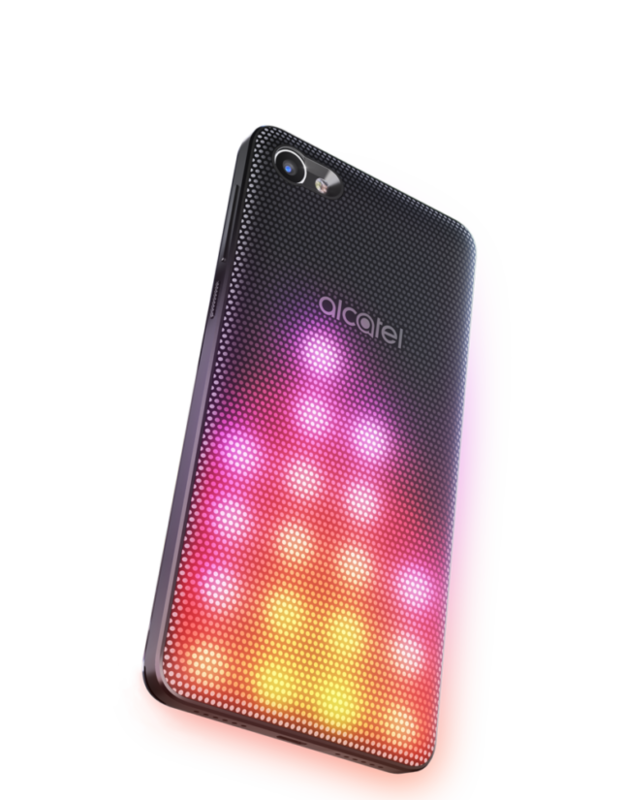 The Alcatel A5 LED also allows you to create a mini disco vibe by setting your music to light shows that move with your tunes and switch patterns with a simple shake. 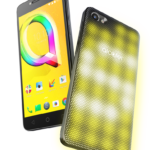 The Alcatel A5 LED also provides a great multimedia experience. 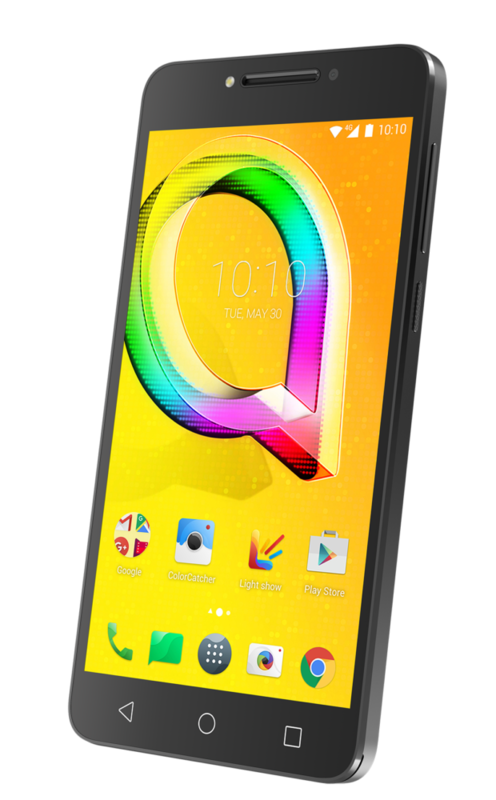 It has fast 4G LTE connectivity ensures photos, games, and movies load smoothly to the large 5.2-inch HD display. So whether you are streaming video or firing up an intense 3D game, you’ll be able to enjoy an incredibly smooth experience no matter what you use your phone for. In addition, the octa-core CPU along with 3GB of RAM provides the muscle to ensure you’re never left hanging. A 5MP front camera with a selfie-friendly bright LED flash creates bright photos even in low light and the beautifcation mode ensures every shot captures your good side. There is also a 8MP rear camera with dual-tone flash and large f/2.0 aperture which means all your shots will come out looking great. 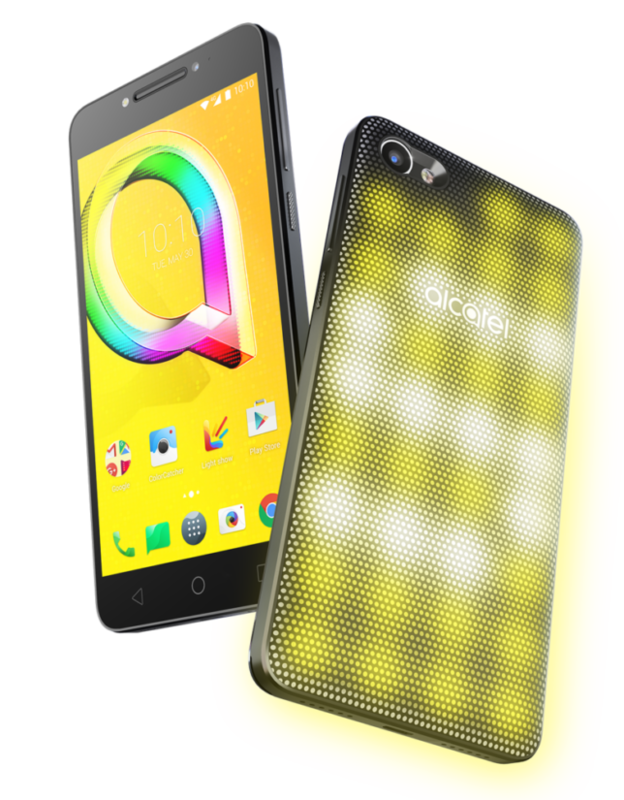 The Alcatel A5 LED is created for customisation allowing you to choose 5 of your favorite apps to launch with each of your fingerprints, opening them instantly, even from the lock screen. You can also access Private Mode by setting a pattern of fingeprint taps to view all your hidden apps and photos.